History: To add everyday experiences for guests who visit Disneyland, Olszewski created a series of accessories. 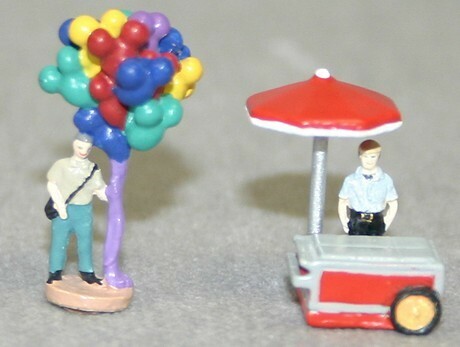 These include the Balloon Man and Popcorn Vendor. These are part of Olszewski's MS Character Collection that one will find at Main Street, U.S.A.
Sold Exclusively by Disney at the Parks or through Guest Services at 1877 560 6477.